Lavender has always been a special plant: Ancient Egyptians used it in perfumes, Judith rubbed lavender oil all over her body before seducing Holofernes, and its been used since at least the 12th c. to treat anxiety and depression. On a recent trip to Tucson I picked up some homemade lavender essential oil. 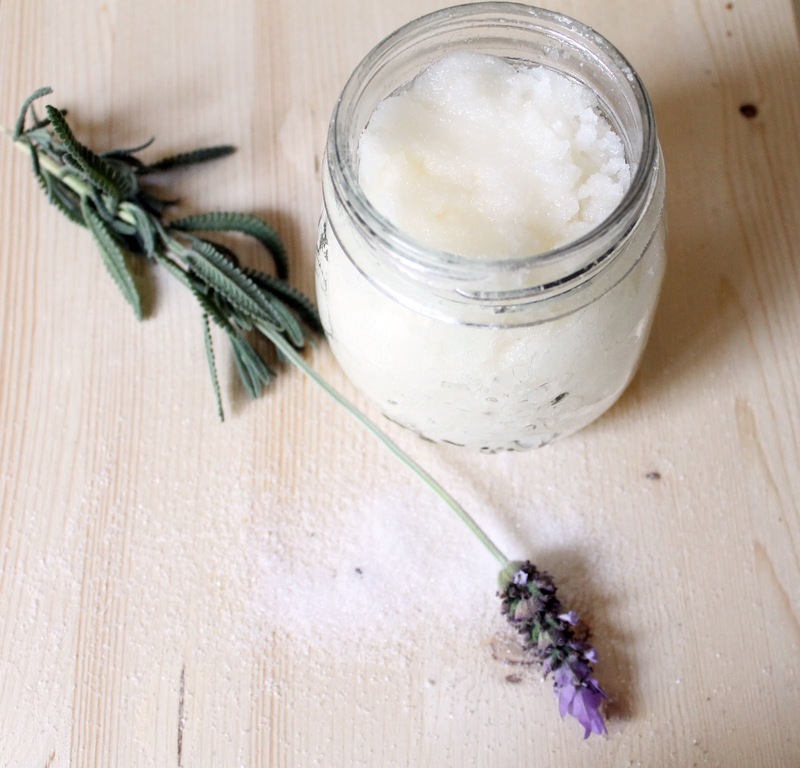 I'd been using it here and there as a perfume but when a recent hamstring injury had me needing some extra TLC, I added it to my favorite basic sugar scrub recipe for a little extra oomph. 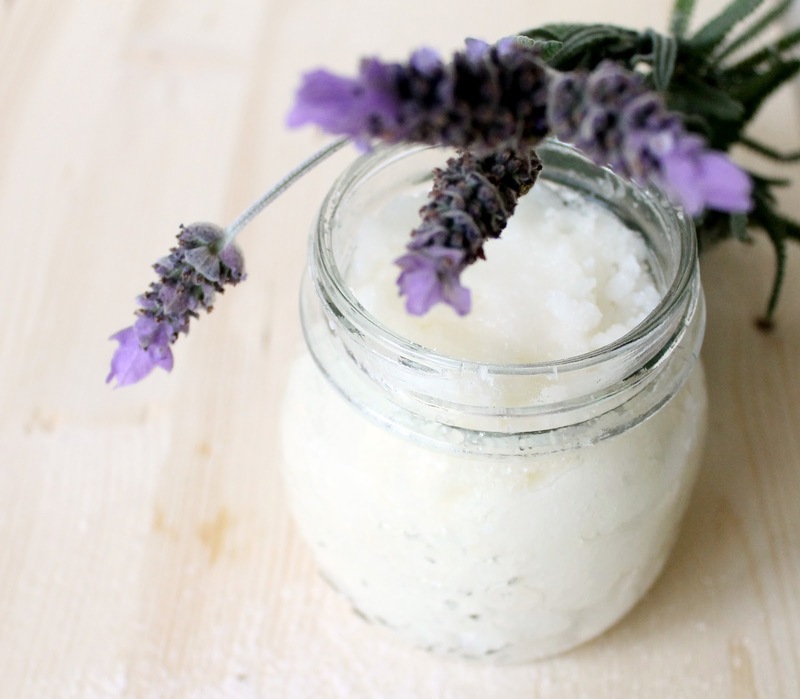 A hot shower + this lavender sugar scrub massaged into tired muscles = heaven. This scrub is the easiest, cheapest, and most luxurious exfoliator I've ever used - serious babe points for how soft your skin will be after using it. 1. 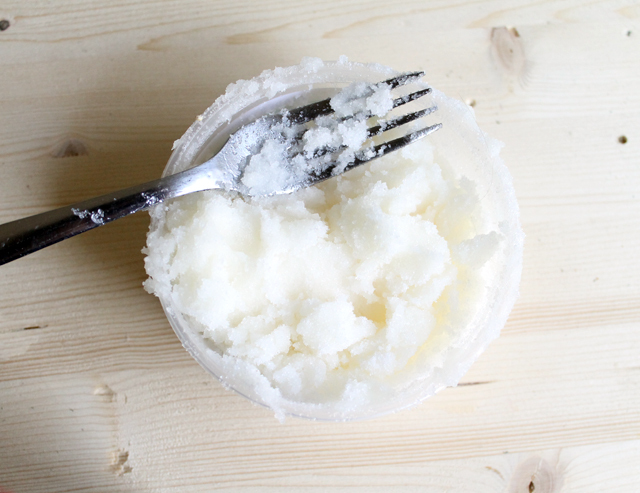 Mix equal parts coconut oil and sugar with fork to combine. 2. Mix in lavender oil to your taste. I was filling a small canning jar with scrub and used about 3/4 c. each oil and sugar and added 1 tsp. lavender oil. Now go forth and soothe! 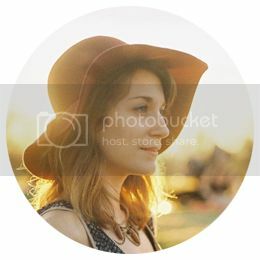 Chelsea is a travel-loving art historian who blogs about maximizing pleasure and style on a minimal budget. Wow! What perfect timing. Have been dying to try a scrub! Made this today. THANK YOU! i love lavender and coconut oil. simple. delightful. magickal. Thank you for a perfect Mother's Day gift for my Daughter and Daughter in Law! Aw, thanks Tracy! I'm glad the recipe has gone to good use! I love these for girlfriend's gifts and Christmas gifts for my daughter to give to her friends! Where can I find coconut and almond oils? Where can I get essential oils from? Just about anywhere. Do you have a health food store near you? You can order online also. check vitacost.com as they have a few different brands you can choose from. Can't wait to try this for holiday gifts! One question, is the coconut oil you use the opaque kind that you scoop out of the jar, or the clear liquid oil? Thanks! What size jar do you need to hold this mixture? Hello! My name is Chelsea and I believe in living beautifully on the cheap. Here you'll find delicious budget-friendly meals, lessons learned while traveling, ways to fill your home and life with simple pleasures, and other skills for the frugal aesthete.